New York brunching is a hobby! Looking for a cool brunch spot? Well look no further. 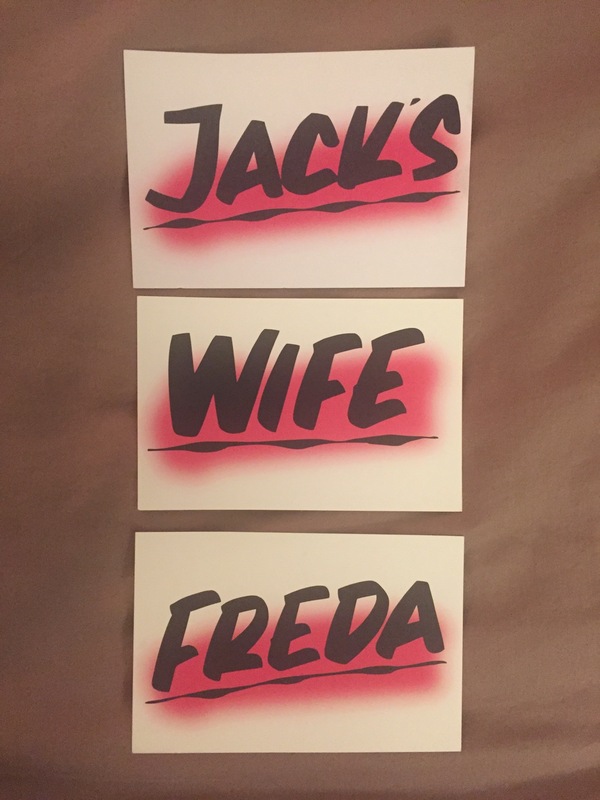 Jack’s wife Freda is a trending New York brunch spot with cute ambience and delicious food. Located on 50 Carmine St and 224 Lafayette St. I had read that people had to wait a while for a table so we tried the 50 Carmine St location and we were in luck. We arrived there around 2-2.30pm and we got seated within minutes of getting there. We joined the middle bench of people which was actually quite fun. We had a mom celebrating her Birthday with daughters on one side, and a girls brunch date to our other side. There was an extremely lively atmosphere and sometimes too loud to hear each other speak. We were immediately served with water and the menu was already on the table. 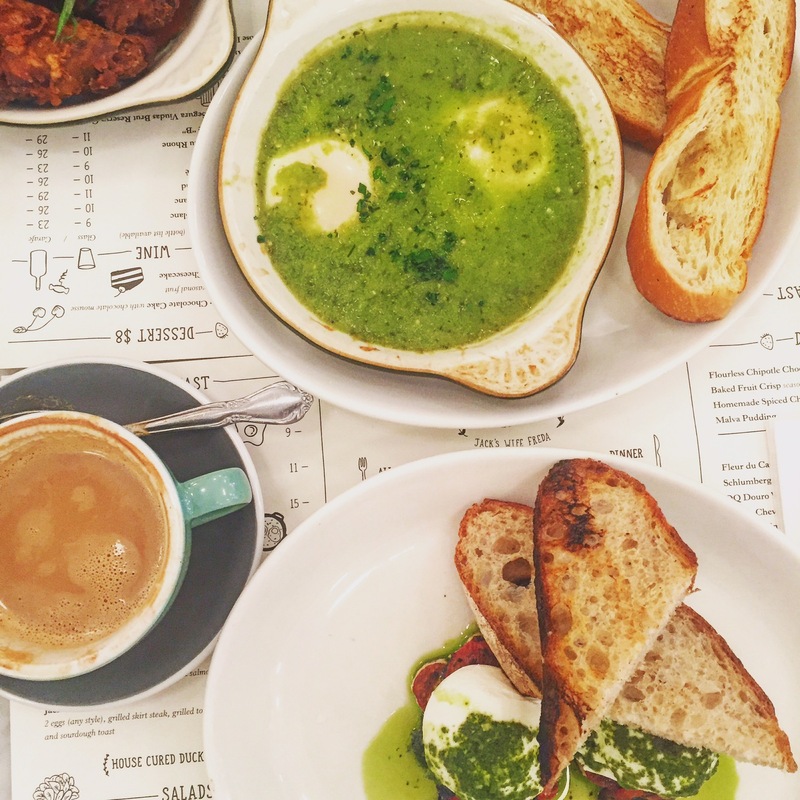 We ordered a coffee and carpaccio followed by egg halloumi cheese and tomato, peri peri chicken wings and green shakshuka (two eggs in green sauce served with bread). The food was just delicious. It was all very tasty and filling and colourful! The green sauce in which the eggs lay in reminded me of an Indian green chutney. My husbands coffee was refilled constantly. I really enjoyed my brunch date. We really wanted to try the pancakes but we were just too full! This is a cool place with good food, ambiance and quick service. It was packed with lots of friendly people and good vibes. Our bill was served with a Jack’s wife Freda postcard. I asked for all three just so I could have a complete set! If you are brunching in New York- go visit this place. Its definitely a spot to try!